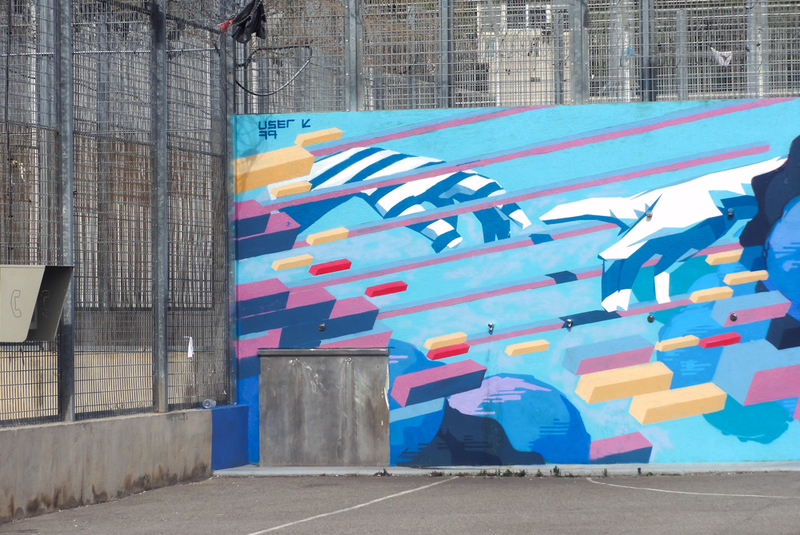 Through a workshop with a group of inmates in psychic recovery, two murals were done in the SMPR exercise yard of Marseille Baumettes jail during summer 2014. While the first mural born from discussions with inmates, the second was inspired by the work of Michael Angelo that we remixedto match the carceral context. Thanks to Sonia and the SMPR people for making it happen.